There's a lot to like about v-neck tops, especially when it comes to work wear. 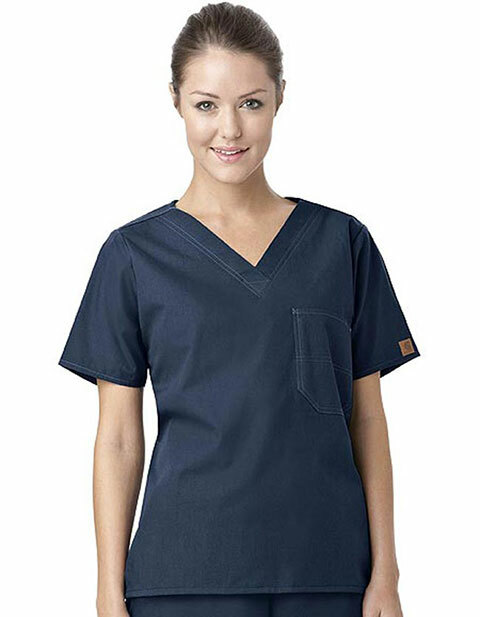 Count this Carhartt tagless, v-neck scrub top in. 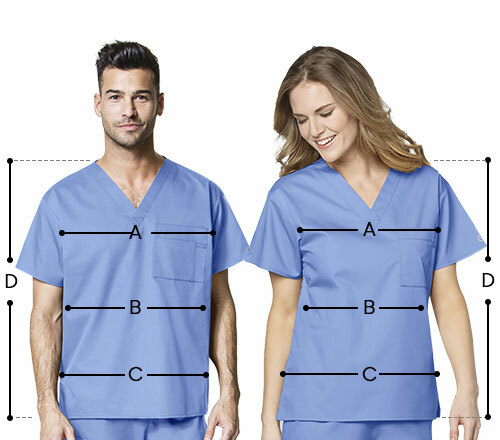 Made with soft to the touch, 55/45 cotton/polyester brushed micro canvas, this comfortable top has a chest pocket with a tack on the hem to hold pens securely in place. For added strength, it has triple-stitched seams at the shoulders and back yoke. A pair of side vents caps off its design. This is available in colors like pewter, charcoal camo, prairie tan and more. Pick from available sizes ranging from XS to 5XL. Triple-stitched seams at the shoulders and back yoke and side vents.